Rich hardwoods, typically on slopes or hummocks; a unique plant with broad, glaucous leaves arranged in a ± flat rosette. 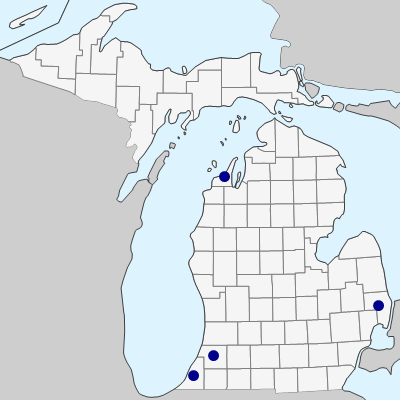 This species reaches the westernmost edge of its contiguous range in St. Clair Co., but occurs disjunctly in forests near Lake Michigan (see Cochrane, 2000). MICHIGAN FLORA ONLINE. A. A. Reznicek, E. G. Voss, & B. S. Walters. February 2011. University of Michigan. Web. 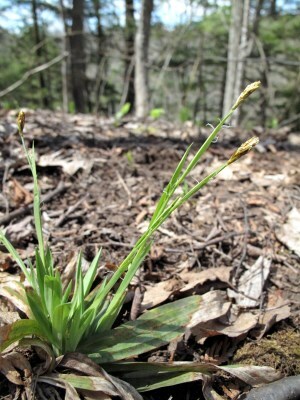 April 20, 2019. https://michiganflora.net/species.aspx?id=1028.